The Lord spoke to our hearts to start helping other small missions and missionaries back in 2012 to let them know they are not along nor forgotten. So we met 2 missionaries that went to Charis Bible college that are working in the Philippines. One is named Moses that does most of his work in Dumaguete City in the Bacong Area and the other is David that has built a place to ministry from in Cebu city. 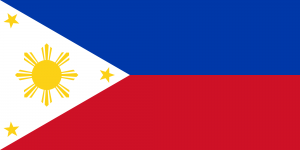 Also at our home church, Freedom Christian center in Charlotte, NC we have a couple named Jason and Liza that have been working in the Philippines for years. Liza is a Filipino and has a great love for her people. So The Lord has allowed us to help them by shipping toys, new shoes, clothes, food, books, etc to bless the needy. Then in 2013 we built a church in Negros Oriental To teach the “grace and unconditional love of God” message. The people are hungry for the truth. We are giving finances for feeding programs, prison outreach, youth ministries and discipleship programs. Our desire is to partner with these missionaries to see the gospel be shared all over the Philippines. Thank you for giving to make this possible.